Gangamma is a widow, but she also struggles with a physical disability. 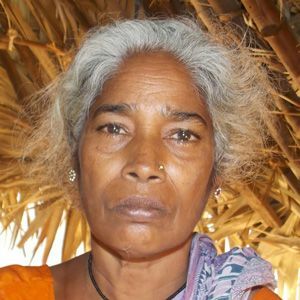 While her husband was alive, the couple survived by begging for food. Since Gangamma has no children or other family members alive, there is no one to help care for her and she cannot work due to her disability. Your sponsorship will ensure that Gangamma will receive proper care and adequate food, but most importantly, it will bring her hope.